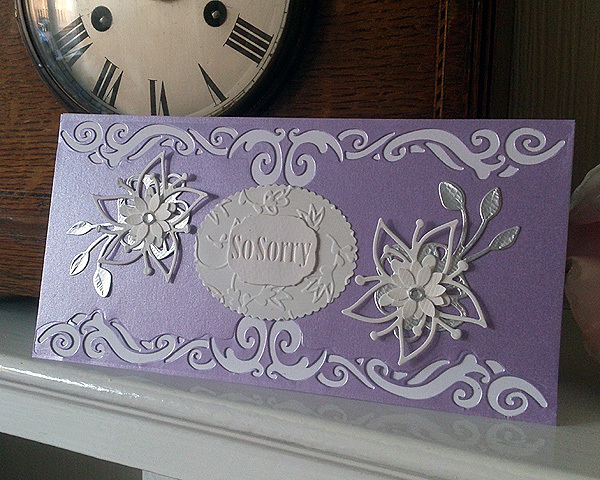 Don't forget to tune into Create and Craft to watch Jodie at 6pm to see her demonstrate the fabulous new dies. For the gorgeous border on this card, I've used a part of the new Lych Gate Wish die set - as I say only a part of the die set, there are so many ways to use the strip dies, the combinations are endless. 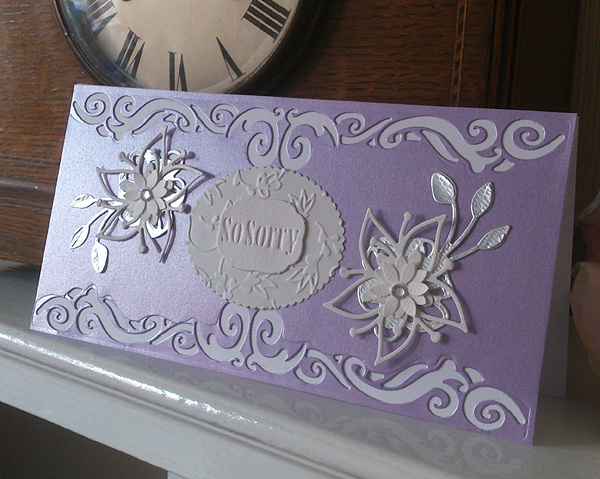 The flowers are from the new millinery die sets and I've layered up a classic flower punch on top for a bit of depth. The So Sorry is from the Idyllics delicate drape die set.